In this sample lesson, I showcase the ability to plan a unit with the "end goal in mind." That particular element to create a cohesive unit by first establishing the way that you will evaluate student learning is a critical step in authentic lesson planning and holistic student learning. My unit showcased here demonstrates the end-of-the-unit assessment first by collaborating with the other faculty members on our 7th grade Explorers Team at Hampton Middle School. As a cross-curricular initiative, our team organized and arranged a whole day of hands-on learning and celebration for our students. The aforementioned day was christened Africa Day and focused on various aspects of African culture. In history class, the students learned about the geography of the continent and the eclectic tribes that distinguish African customs as unique. In science class, the students looked at sample populations of persons infected with Ebola, a lethally contagious disease. In math class, the students analyzed land mass and population, dissecting the difference between the two of them and deciphering how the expansive land mass compared to the number of people on the continent. 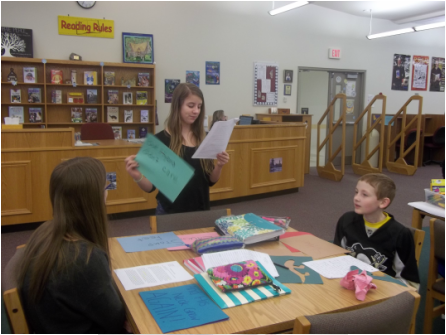 In Reading class, the students learned about Pourquoi fables that explain how things came to be the way they are now. For example, how a ladybug got its spots. After reading various fables, the students wrote their own original Pourqoui fables in English class and presented them using props, audience participation and engagement. Since this unit based itself on the art and history of fables in the African storytelling tradition, the planning for the unit as a whole took a lot of intense planning and communication between the teachers on both teams. Specifically, the Reading teachers ensured that the students were familiar with the layout of a fable and its inherent elements that distinguish this story from other types of traditional folklore pieces. 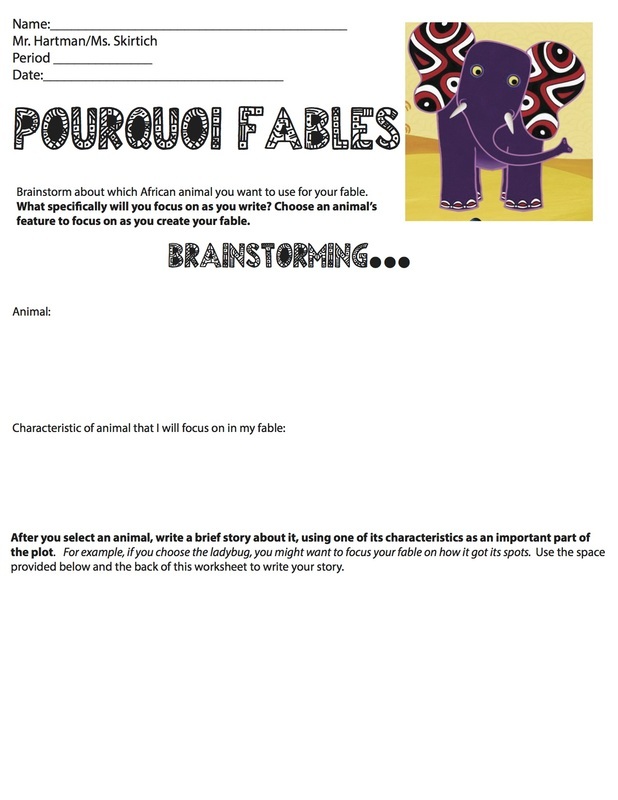 After understanding the structure of a Pourquoi fable, the students then utilized their innovation and creativity by creating their own organic fables. As I began teaching this unit, the students brainstormed different African animals that they could incorporate into their fables. This worksheet here below helped guide the students throughout the brainstorming process. Then, the students revisited the layout of a fable and all of its components. Keeping in mind that all students should have the same layout for the fable allowed the Reading and English teachers to maintain consistency in their planning and instruction. Here are the elements pictured below. 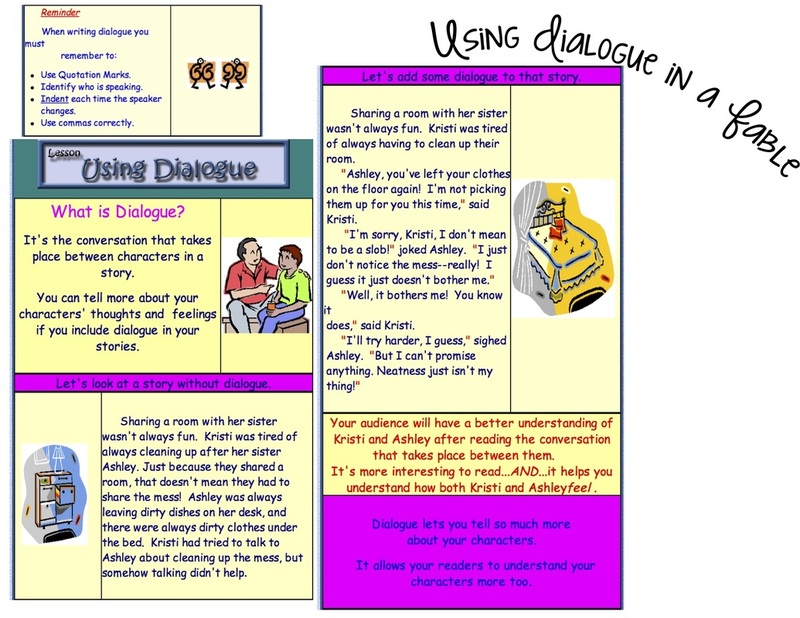 Keeping in mind that the unit should incorporate other standards that all seventh graders should know by the end of the academic year, I focused on the writing strategy of dialogue in a fictional text. As the Common Core standards come into play in the next few years, I deemed it important to actively integrate those aforementioned standards and strands into my teaching and instruction. One of my mini lessons honed in on this skill for the students and taught them various ways in which they could infuse dialogue into their fables to create a stronger piece of literature. 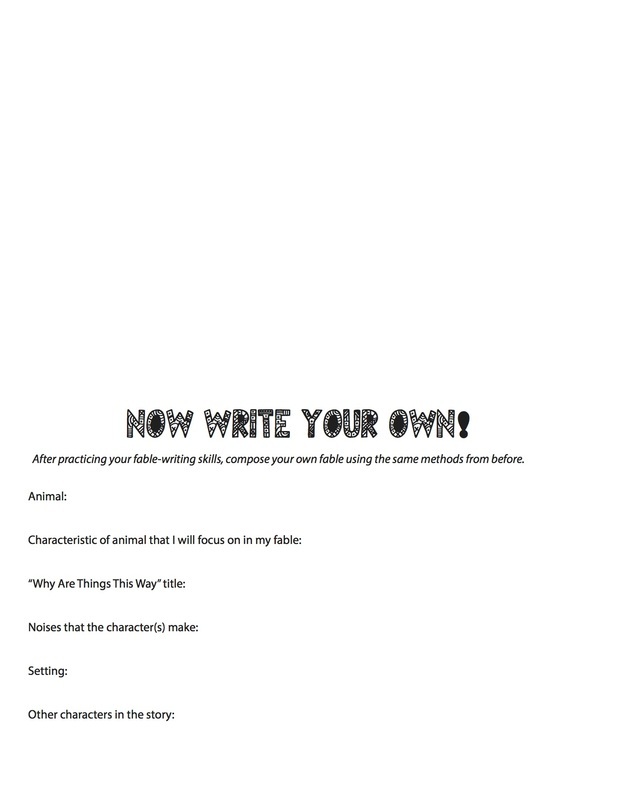 Below is a worksheet that I distributed to the students for their own use throughout the writing process. 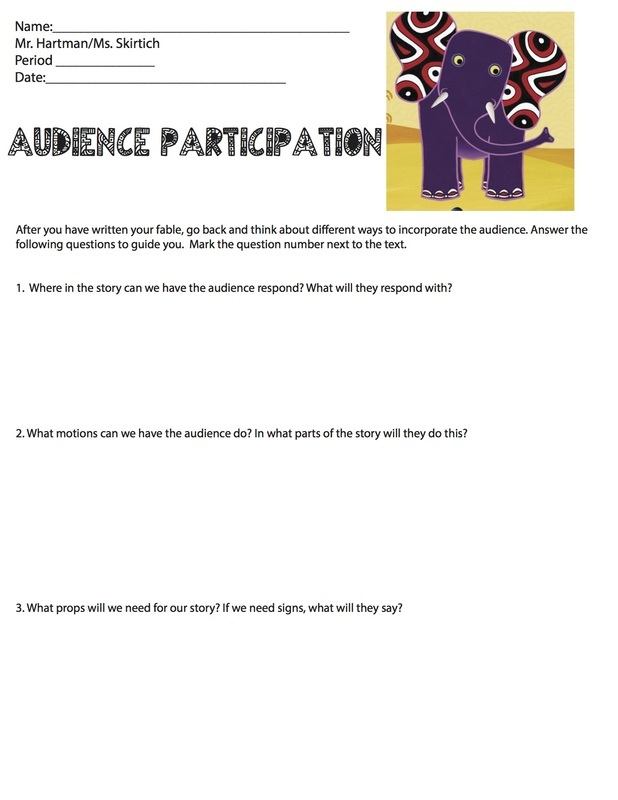 One of the most important elements of Pourquoi fables is audience participation. This was one of my favorite aspects of the unit, as each of the students was charged with the task of getting each audience member to respond and participate in his or her fable. 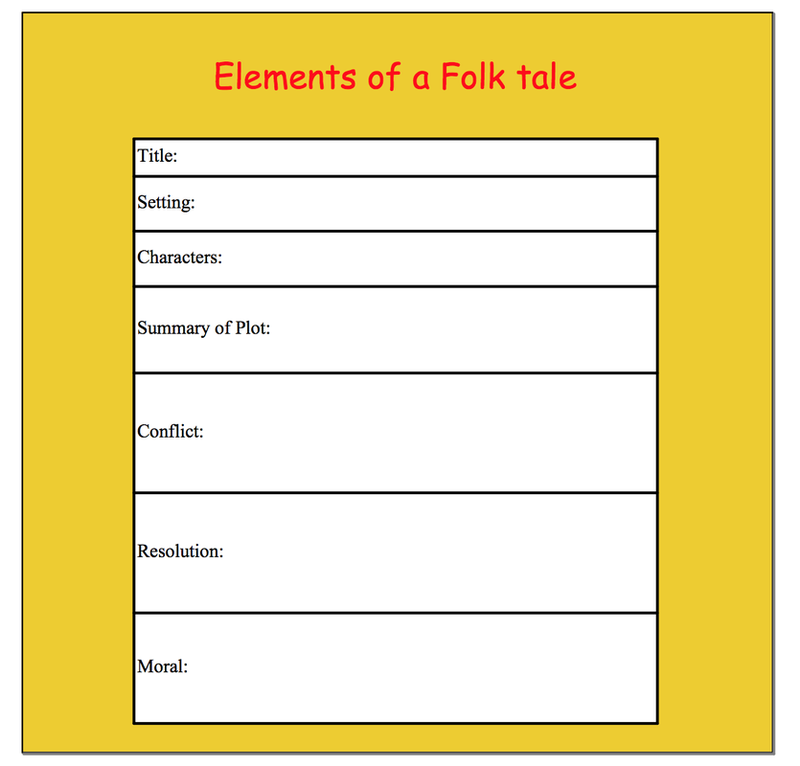 In order to guide their planning for this element of the fables, I created the worksheet below. Here are some of the finished products of the fables that my students presented. They did an amazing job and I am so proud of them for their hard work! Let's Use Google Add ons!